Look, I love Jane Austen books as much as the next guy (provided the next guy’s love of Jane Austen books is limited to reading her shortest book and watching at least three separate adaptations of Pride & Prejudice), but no one is ever going to call her writing action-packed. Unless a bunch a well-dressed ladies making veiled catty comments to one another during a boring social event counts as action in your book. 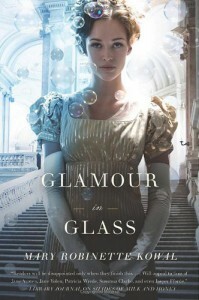 In which case, I hope you are sitting down when you read Mary Robinette Kowal’s Glamour in Glass, because in Austen’s terms, this thing might as well have been written by Michael Bay.Click to read the rest of my review on the new Barnes and Noble Book Blog.